Once the organ kicks in at the beginning of this tune on the new split single by Philadelphia's Duffy's Cut, you know you're in for a boss ride across the best aspects of righteous rock 'n' roll from the past 50 years or so—blending the '60s British Invasion sounds with the tough American R&B/garage groups that influenced them. This is one lean, melodic, yet hard tune that suffers no fools gladly. The powerhouse quarter has in singer, Jonathan Jeffers, one of the best voices around, skillfully steeped in the tradition of soulful crooners like The Animals' Eric Burdon or the Small Faces' Steve Marriott in their respective primes. The members' previous backgrounds in punk/Oi! bands gives the music an extra rough-around-the-edges kick that connects the dots between several rock 'n' roll subcultures throughout the decades. 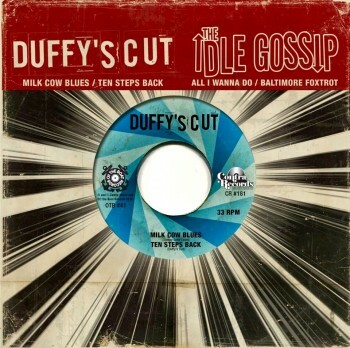 Kudos to the other band on this split single, Baltimore's The Idle Gossip: a worthy contemporary outfit to Duffy's Cut's primal vibe, bringing us two of the finest mod and maximum R&B bands around. Beautiful looking colored vinyl and record sleeve to boot. Pick up this killer stomper—plus their back catalog—at this link. 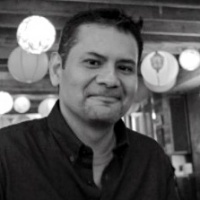 Freddy Alva is the author of the book Urban Styles: Graffiti NYHC which can be ordered here. New book project in 2019, follow him on Twitter and Instagram.